CarGurus has 5,761 nationwide Countryman listings starting at $5,500. Yeah, it still bears the MINI logo, but the 2015 MINI Countryman isn’t as “mini” as the name implies. But that’s not a bad thing. This compact and unique crossover/wagon remains distinctively Cooper-esque in look and feel—and price, but 5-passenger seating and 42.2 cubic feet of total cargo space distinguish its comparatively upsized nature. Although a few tweaks are evident for the upcoming model year, the 2015 Countryman returns in the traditional 3 trims: the entry-level Cooper Base, the turbocharged Cooper S and the top-shelf John Cooper Works, hereafter referred to as the JCW. The Base Countryman is again offered only in front-wheel-drive (FWD) configuration, while the S can be delivered with an available all-wheel-drive (AWD) system, known as ALL4 in MINI-land, with said ALL4 adornment again coming standard in the JCW. Those aforementioned tweaks, by the way, include new grille inserts for the Base and S iterations, as well as 3 new exterior color choices: Starlight Blue, Midnight Gray and Jungle Green, not to mention a new Piano Black exterior tint that also boasts unique interior hues. Additionally, some new wheel designs become available for the upcoming year, as do upgrades to the touted MINI Connect Smartphone apps. And all Countryman variations can now be adorned with available LED daytime running lights, once the sole purview of the upscale JCW. Returning to this funky people-hauler, meantime, are such traditional bells and whistles as 17-inch alloy wheels (18-inch on the JCW), a roof rack, heated power-adjustable outside mirrors, leatherette upholstery and full power accessories. Of course, cruise control and telescoping tilt-wheel-steering are back, as are a cooled storage compartment, the leather-wrapped steering wheel and manual air conditioning. Bluetooth hands-free technology also returns as standard equipment, complemented by a single-CD player sporting 6 speakers, HD radio and auxiliary audio input. And yes, the recently repositioned 12-volt power points once again stand ready to juice up those ubiquitous portable devices. Moving up to the higher-echelon Countryman trims, look for a rear spoiler, sport front seats and, naturally, a sportier mien in the S and S ALL4, with the spiffy JCW tossing in a standard sport-tuned suspension, which seems kind of overkill considering the traditionally stiff but undeniably nimble suspension already found in lower trims. Meanwhile, a number of unique styling touches and standard dual-zone auto climate control also grace the flagship JCW. Also returning to the 2015 Countryman lineup is a veritable cornucopia of options and customization features. Among these are the Cold Weather Package, boasting heated windshield washer components, power-folding outside mirrors and heated front seats, and the Technology Package, with satellite radio, newly upgraded MINI Connect apps and a 480-watt, 10-speaker Harman Kardon premium sound system. Also reprised is the Premium Package with its power-tilt sunroof and remote keyless entry/ignition, while the City Pack returns with a remote antitheft alarm, auto-dimming rear-view mirrors inside and out, and rear parking sensors. All this is once again complemented by all-but-endless wheel configurations and various lighting schemes and interior accent manipulations. Finally, a GPS navigation suite and a remote garage door opener again constitute standalone options for 2015. Also returning to the 2015 Countryman stable is the 1.6-liter inline 4-cylinder powerplant in a trio of horsepower ratings, with the base engine a normally aspirated 121-hp version that puts out 118 lb-ft of torque when mated with either the standard 6-speed manual transmission or the available 6-speed auto-manual transmission. Oh, and look for mileage numbers of 28 mpg city/35 highway in the manual-packing Base trims, with auto-manual versions boasting 25/30. The S and the AWD-toting S ALL4 again tote the turbocharged version of the 1.6-liter I4 to the tune of 181 hp and 177 lb-ft of torque, and that engine is again managed by either the standard 6-speed stick-shift or the available 6-speed auto-manual. Mileage numbers run 26/32 in FWD stick-shift variants and 25/32 in FWD auto-manual editions, while AWD versions return 25/31 and 23/30 in manual and auto-manual transmission offerings, respectively. The JCW, as befits its honored status, carries an up-powered version of the turbocharged 1.6-liter I4 to pound down 211 hp and 207 lb-ft of torque, again mating with either the 6-speed stick-shift or the 6-speed auto-manual. Meantime, despite the added ponies, mileage figures in the JCW are estimated to mirror those of its S siblings. By the way, steering-wheel-mounted paddle shifters will remain optional in each of the automatic-equipped Countryman versions, while said auto-manual gearbox again features your basic automatic mode, as well as a driver-selectable Sport mode for a little extra kick to the commute. Of course, the 2015 MINI Countryman in all its various forms returns equipped with the usual mandated safety features, complemented by standard daytime running lights, front fog/driving lights, a post-collision safety system and, for those trims bearing MINI Connect technology, emergency assistance and communications functions. 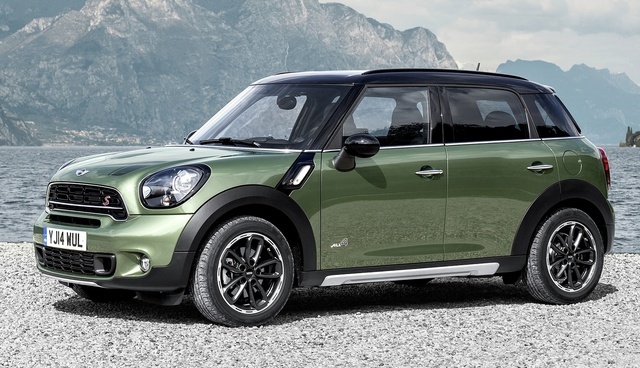 What's your take on the 2015 MINI Countryman? Users ranked 2015 MINI Countryman against other cars which they drove/owned. Each ranking was based on 9 categories. Here is the summary of top rankings. 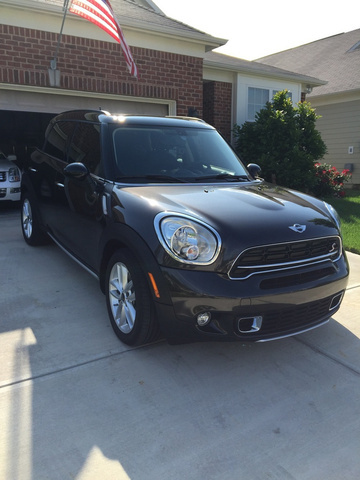 Have you driven a 2015 MINI Countryman? My Check Engine Light Keeps Coming On What Do I Do? ?